While you're here, be sure to sign up for Lara's VIP Reader List! The first 100 Series standalone romance featuring friends of billionaire Dominic Baine and his artist fiancee Avery Ross. In Run to You, combat veteran Gabriel Noble survived the war overseas, but the stoic Baine International security specialist is in for the fight of his life when he's tasked with protecting beautiful lingerie designer Evelyn Beckham. 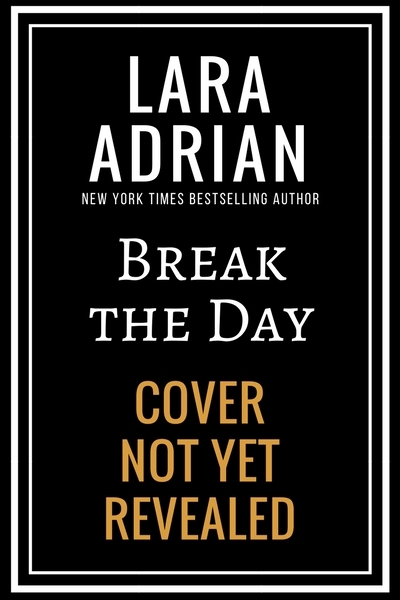 Sign up for Lara's VIP Reader List to be first in line to see the cover reveal and hear about this upcoming title! Book 16 in the Midnight Breed vampire romance series, featuring Breed warrior Rafe Malebranche, son of Dante and Tess.